With December not far away it's time to think about Christmas promotionals and launching the New Year in style. W&A has several options all of which either free or very low cost. Given it's popularity over the past few years the Christmas Wish List will be back again this year. This feature consists of a different book being featured on the site for each day in December. 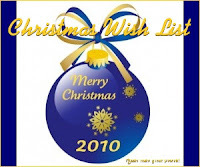 The aim is to give a selection of different genres to offer inspiration of books for all tastes as gifts for Christmas. If you would like your book considered please e-mail your book blurb, jpg of the cover art, the books purchasing details, your weblink, a brief author bio and the embed code for your book trailer. Please also state the genre of your book. Places are allocated on a first come, first served basis. Those not used on site may be considered for use in the W&A Magazine. This opportunity is offered completely free. The W&A Magazine will be released in December this year. This is the perfect opportunity to show off your writing skills and help others at the same time. By submitting an article about the writing industry, book marketing or other related topics, you get a byline complete with your weblink included. Anyone can submit as W&A is for all levels of experience, from complete beginners to old hands. The W&A Magazine also has a special page called shout outs where you can blast about your recent release, award win, promotional tour or other achievements. In the New Year authors (and other members from the industry) will continue to be featured on the W&A website. If you would like to be interviewed just send an e-mail with a brief bio and your weblink. W&A offers book reviews free of charge. All you need to do is send a copy of your book in the post and the review will be posted to the W&A website (plus goodreads.com and advertised on various social media sites). If interested, please e-mail with your book blurb. For all the above opportunities please e-mail and state which one or more features you are interested in. Sounds like an interesting opportunity. Thanks for sharing! Happy holidays. I'm looking forward to seeing what is included this year.